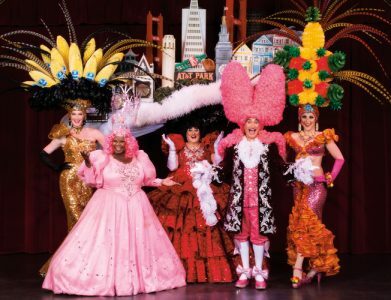 On my first trip to San Francisco we attended “Beach Blanket Babylon.” I never forgot how funny it was. Fast forward almost 30 years, and this popular musical revue is going strong, and while songs and topics have changed with the times, it’s still spill-your-drink funny. The script constantly changes to incorporate new pop culture references with appearances by characters playing Oprah, Donald Trump, Caitlyn Jenner, Princess Leia and Kim Kardashian with her Champagne-glass-balancing derriere. The fast-paced production includes more costume changes than a Beyonce concert, towering hats bigger than my first dorm room and talented performers belting out hilarious lyrics to toe-tapping songs. You’ll leave feeling happier about life. And coveting that Chiquita banana hat. Or maybe that was just me.